5. I am a pack rat and hate throwing things away because "someday I might need it!" I do tend to hang on to things way too long and cleaning out HAS to happen at regular intervals. However, it has long been my experience that the moment I decide to throw things out, take them to Goodwill, or give them away, then I need them. I even remember giving a whole bundle of clothes to Goodwill only to discover that I had given away a pair of red pants that I decided I still needed. I rushed over to Goodwill and bought them back for $6! And there was the time I gave away all my sewing notions, lace, yarn, etc. Then I began teaching first grade and yearned for that box of notions for the art projects that we did. I guess that is Murphy's Law for me: the minute I decide to throw something away, the wheels are set into motion for me to need it again--sooner or later! Write about your notions on being a pack rat. Do you save things that you no longer use? Or do you clean out things on a regular basis--and never look back? 4. I LOVE to sleep late (about 7:00) on weekends! No pictures this time! But I do look forward to sleeping late on weekends and then getting up leisurely, going for a neighborhood walk and then back home for breakfast. The pace is slower on those mornings and my approach to the day is more relaxed than it is on weekdays. However, tomorrow is Saturday and we will get up early, load up birthday presents and goodies and drive to Son #4's to help celebrate Miss Ella Bella's 2nd birthday. No sleeping late and leisurely day, but it is so worth it to get to spend more time with family! Now it is your turn: write about the joys of sleeping late and leisurely days. Or take a turn at writing about spending time with family. Last night we had a wonderful treat. About 6:00 p.m. we looked out our living room window and Bossy Mama (the leader of our deer herd) was out front parading her new, tiny, delightful twin fawns in front of our window. She was obviously showing them off for us as she walked back and forth in front of the window. I took a number of pictures through the glass, but when I tried to go outside and take pictures up a bit closer, the babies got skittish and began to leave. Bossy Mama had her babies about a month ago and we knew she would keep them in some protected place for several weeks before she brought them out for the public to see. It was so wonderful to see the two perfect little things with their tiny, delicate faces, vivid white spots and twig-thin legs. It was also wonderful that Bossy Mama brought them down the street for us to see them. Thank you, Bossy Mama, for showing your babies to us! 3. I get up early (5:30 a.m.) at least 5 mornings a week to journal first and then exercise--even though I am retired. It just starts my day off right! My husband took the picture on the left yesterday. The lady in blue is a personal trainer but also a good friend named Rebecca. Rebecca is a wonderful help when I have questions about strengthening specific muscle groups. She was a marvelous help through both of my hip surgeries and I was back to the gym in record time because she even came to my house and helped me with exercises at home--terrific massages also! Talking about Rebecca as a friend reminds me of how many other friends I have made at the gym over the 12 years that I have been going there. Max often precedes me on those machines you can see in the picture, and he can push or pull double the weight that I can. I often tell him that he is a tough man to follow! Helen has long been my inspiration in exercise. I first met her when I began going to this gym and figured she was about my age although she could run circles around me and was as limber as a pretzel. One day, as I was admiring her flexibility during our stretches, our talk drifted to our age. We compared years and I discovered that she was about 15 years older than I am. My mouth fell open and I decided then and there that I wanted to "grow up" to be like Helen! She is still 15 years older than me and we still meet on the side-by-side treadmills where we catch up on family news and exercise progress. The dressing room at the gym is also a place where I have found good friendships. Our little 8:00 a.m. group has decided that there are few problems that we cannot put our collective heads together and solve. And those women continue to amaze me! One is a very talented artist. Another woman is just five years younger than I am and still participates in the Ironman Triathlon in Hawaii each year! Another surprised us recently by telling us that her book had just been published. 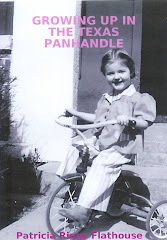 We did not even know she had written a book! Her book is Journeys of Heartache and Grace: Conversations and Life Lessons from Young People with Serious Illnesses. Here is a picture of my very own copy--autographed by the author! Going to the gym is a wonderful way to start my day, boost my metabolism, keep my body in good working order and catch up with friends I have made there. 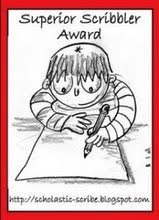 Now it is your turn to write. Journal about your attitude toward rising early in the morning, exercise and friendships you have made along the way. 2. I am a stickler for time schedules. I make up my daily schedule each morning and getting off schedule sometimes rattles me. I think I passed this quirk on to at least one of my sons! I keep a calendar on my kitchen table where I can consult it each morning and prepare myself mentally for the day ahead. See attached picture--although only I can decipher the lines, the arrows, the small print, color codes, and notes that often adorn the margins. I also use the smallest Post-It notes to insert temporary notes or changes in the schedule. The calendar is small and someone recently mentioned to me that I needed a larger Day Planner with numerous lines for each day. My reply was a distinct 'NO' because this almost-checkbook-sized calendar is easy to slip into my purse without adding weight, carry in my pocket if necessary, and pack into a carry-on bag when I am traveling. In other words, it works for me. I am a stickler for knowing what my schedule is each day. If I have to change, I am okay with that, but I do like to know what is going on each day. I am not a very good "fly by the seat of my pants" kind of person. One of my sons called the other day and complained that he was on a trip with people who made up their schedule as they went along and it was really bothering him. He said that he liked to know early in the morning what the plan was for the day. I could relate to that comment myself, and I could also remember hearing him (even as a young boy) wake up on weekends and want to know what the plan was for the weekend. Guess he inherited that trait from me. Sorry about that! Write about your way of dealing with time and with schedules. Do you need a plan for each day or are you a "go with the flow" kind of person? What meaning does the word "time" have for you? 1. I LOVE to hang my clothes outdoors to dry even though my husband claims that his underwear is "crunchy" when it comes in all fresh smelling off the clothesline. A long time ago when two of our boys were babies my husband was in graduate school and we rented a house with a Maytag washer (that we bought for $5 dollars from the owners) but no dryer, so I hung the clothes and the endless cloth diapers out on the line. This was in Illinois and it worked well until the first freeze and the diapers and other clothes froze on the line. At that point I strung a clothes line all over our wash room that also contained the heater for our house and dried the clothes that way. Finally, we picked up a used dryer for $10 and that ended my winter problem. However, I still enjoyed hanging the clothes out to dry in the summer. When we moved back to Texas I had a clothes line and used it during the summer. By that time we had added two more boys to the family so we still had numerous diapers to dry. It always seemed easier to be outside with the boys in the back yard and hang up the clothes at the same time. Once the boys were out of diapers I still hung my clothes outside because I had established over-the-fence friendships with the neighbor behind us and the neighbor next door. Both women were older and had great words of wisdom to pass on to me as they watched our family grow up in the back yard. Nowadays I can hardly wait until the spring pollens are gone (that yellow oak pollen RUINS whites!) and then I begin my summer ritual of hanging clothes outside. There are four reasons I still hang clothes outside: 1) I hope I am saving energy and dollars by doing this, 2) the dryer is not blowing more hot air into the already intense Texas heat, 3) the dryer is not killing my plants by blowing heat onto my garden through the vent in the backyard, and 4) I LOVE to be outside in my little retreat spot where the clothesline is--where I can look up into the opening between the trees and watch the intense blue of the sky or the clouds scudding across the opening or the sunset turning the sky delicious colors in the evening. Write about something that you LOVE to do! * Mention the rules in your blog. * Tell about six unspectacular quirks of yours. * Tag a new set of six following bloggers by linking them. * Now my plan is to write about these six quirks the next couple of weeks and provide pictures when appropriate and available. Then, I challenge each of you, dear readers, to do the same. Today I was going through a box of things I had stored in our barn and found an album that I had made for my husband as an anniversary present after our first year of marriage. I thought our boys might enjoy looking at pictures of their parents that first year. How young we looked then! On our July Honeymoon we traveled across from Texas, where we were married, to California where my husband had a fellowship to attend a leadership training program at San Fernando Valley State College beginning the next January. We planned to find a place to live and enjoy the sights as we drove to the Los Angeles area. I think we visited every Indian ruin between Texas and California, but we had fun along the way. First we stopped in Albuquerque and visited hubby's aunt for a couple of days. After we left Albuquerque, we headed west, stopping at interesting places until we reached California. In Northridge, we stayed with friends who were in the program that hubby would being the next January. We found an apartment and made arrangements to rent it when we arrived in January. We returned to Texas and began our last semester of teaching before pulling up stakes and moving to California. Here is a picture of the first house we rented--fully furnished. We spent the first Christmas that we were married with my parents and brother and sister, and Fancy, the dog that my parents inherited when we all left home. After Christmas, we packed up all our belongings in a U-Haul trailer, hooked it up to our Chevrolet Malibu and headed for our great adventure in California. For me, it was a bit like a big vacation because I did not plan to work. I had a wonderful time exploring all the new shopping places, discovering a world of new fruits and vegetables in the ABC Grocery Store where we shopped and exploring the wonders of Topanga Plaza--a wonderful shopping mall (before shopping malls were popular in Texas). I did end up doing some part-time work for the college and typed papers for hubby and some of the other students for spending money. While we were in California, we did a fair amount of sightseeing, saw some snow, the Redwood Forest and local attractions, including Universal City and Busch Gardens. I also went with friends to Disneyland, but hubby missed that trip. My sister came to visit and we had a wonderful time showing her around. We even picked a few oranges from the orange trees on the campus. Graduation time finally arrived and we began to pack for our next adventure. It was hard to say goodbye to so many friends that we had made while in the San Fernando Valley but we still stay in touch with some of them even though it has been more than 40 years since we spent that time together in California. From California we moved to Chicago because hubby landed a job there and that was a whole new adventure for us. Lots of memories were packed into that first year of our marriage--fun memories, interesting experiences and wonderful new friends! I am thankful for many things today, but most importantly I am thankful for my health. This time last year I had just had my second hip replacement. For about 3-4 weeks after the surgery it was really difficult, but then things begin to improve. I am now able to do many, many things that I had discontinued doing before the surgeries due to the pain. This morning I went to the gym and did the treadmill, the Nautilus elliptical machine and all kinds of exercises to keep the ole body fit and working properly. One of my friends pointed out how well my hips are working compared to a couple of years ago. I am so thankful that I had the surgeries but I am really thankful that it is a year later and I have all that behind me! We were asked by Son #4 to keep their almost-two-year-old for three days last week. After raising 4 boys, I thought one little one would be a snap! Ha! I had forgotten about the continual motion syndrome when they are awake! And thank goodness for naps and early bedtime. The minute she was asleep I headed for bed also! I was pooped! Guess I am out of practice. But Miss Ella Bella is a real joy! She runs--never walks! She laughs with glee at the simplest things like rolling a soccer ball down the hall and having me roll it back. She loves to clean things--the picnic table, our car when it sprinkled on it, the kitchen table after eating. She enjoyed going shopping with us and had to have her purse over her arm just like mine. In the car she was always on the lookout for COWS! She loves cows and announces her sightings of cows in a VERY LOUD VOICE so that we would not miss them! We stopped by the roadside and watched one near the fence eating grass. Ella Bella watched for a minute and then announced: "BIG tongue!" Yes, that cow did have a very big tongue. Ella talked about the cow's big tongue all during dinner and gave several demonstrations of the way it licked its upper lip! She loved story time with her granddad. She was a great help in the kitchen. She learned how to snap fresh green beans, make Mickey (er, excuse me--she LOVES Minnie! )Mouse pancakes and then she helped make yummy brownies for the neighbor down the street who had surgery. She also very efficiently helped load silverware in the dishwasher after each meal. The last day we were there I was taking pictures of flowers for possible painting projects and she had to take one picture "all by herself!" Not bad for a young 'un! Maybe she is a budding young photographer--or maybe I will paint it for her! Most amazing of all are her computer skills. She has an ABC program at http://www.starfall.com/ that she loves. We had to call her mother to tell us how to find it and then we were able to access the program several times so that she could do her ABCs. Amazing! I still have a thing about Junk Mail! We were gone for three days this past week and the neighbors gathered our mail for us. We had a pile of mail and all but four letters/bills went into our trash or recycling. I still think Junk Mail is a shameful waste of manpower, paper, postage, increased cost of items, and additions to our landfills. Yesterday I found another recommendation to curb the catalogs that come to our house. I went to www.catalogchoice.org and checked many of the catalogs that come, unsolicited, to our house. One response from a major business in our area came back marked "denied." The explanation is that this company has refused to be involved in the opt-out process. Guess that means I will still get their expensive mailings which will go into my recycling. I do hope that the catalog delivery to my house will diminish if businesses opt to honor my wish not to receive their mail! I am so thankful for our many blessings today! We were awakened this morning about 12:30 a.m. with an awful banging on our roof. It was a storm coming through with rain, high winds and hail. We jumped out of bed and ran to look outside--probably not the brightest thing to do--and saw the wind whipping the trees in our front yard and twisting them. As I stood looking out our living room window, one of our large trees broke off about midway and twisted to the ground leaving several huge branches hanging upside down. The storm passed quickly but our yard was strewn with millions of leaves and several large branches in addition to the one broken tree. As the morning progressed we listened to the sound of chain saws as people began to clear and clean their way out of the mess. We were leaving town, so we left our mess behind knowing that our clean up would be delayed a bit because we are going to take care of Son #4's little one for several days. We are there now and have had a delightful evening with her. She is almost two and talking up a storm! She could tell us what she wanted and where things were. She was VERY definite about her bedtime--she did not want to go, but only fussed about 2-3 minutes and then was out like a light! Whew! I am so grateful that the storm only damaged a few trees and left us and our house relatively unharmed. I sat up much of the night thinking about how bad it could have been in light of the spring storms across the country and giving thanks that we were safe! And I am also grateful for the chance to enjoy being with Miss Ella Bella for a few days. 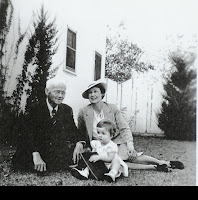 My father’s father was Joseph Newton Riggs, Sr., but I called him Granddaddy Riggs. He was also known in Amarillo as J.N. I did not know him well and he died when I was about nine. He spent the last three years of his life in a nursing home in Dallas, so I did not see him after I was five or six years old. He was always a mystery to me. I recall Granddaddy Riggs as a little old man who did not say much and followed my grandmother, Mammy, around and did what she told him to do. I thought she was very bossy and seemed to treat him like a child. I even thought that he might not have been too bright. The two pictures to the left are the way that I remember Granddaddy Riggs. I suspect his health was beginning to decline in those years and that is probably why we do not have many pictures of Granddaddy Riggs in our family photographs after that time. About ten years ago, I began seeking more information about Granddaddy Riggs. I was always curious about what kind of man he really was and decided to ask my father about him. Daddy had never said much about his father and it was clear that his mother played a much more important role in his life. With Daddy’s stories, and the help of the Amarillo Public Library, and the Amarillo newspaper archives, I found out quite a bit about Granddaddy Riggs. Daddy told me that Granddaddy Riggs was first married to Minnie Little in Paris, Texas, and they had three children. Minnie Little died shortly after the birth of Katherine (Kate), their third child. The older two children in the family were Ralph Smith Riggs and George Record Riggs. According to Daddy, the children were kept by a Mrs. Bettison in Paris, Texas, until Granddaddy Riggs married Maude Ophelia Hancock (we called her Mammy) and then the children later moved to live with Granddaddy and Mammy in Amarillo. According to Daddy, Granddaddy Riggs worked as a salesman for a small wholesale hardware company in Paris, Texas, after his first wife died. He then went to work for Simmons Hardware Company in St. Louis, Missouri for a time. Since he is not listed in the 1900 Texas Census, I assume that he was in Missouri in 1900—just a year after the death of his first wife. However, he is not listed in the Missouri Census Index either. Daddy said that Granddaddy Riggs became a specialty salesman for Keen Kutter knives, scissors and garden tools. The Keen Kutter line of tools was a product of the E.C. Simmons Hardware Company, and those tools are now sought out as collector’s items. 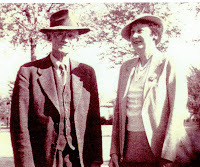 Granddaddy Riggs moved his new wife, Maude Hancock Riggs, to Longview, Texas, and that is where Daddy was born. The birth certificate for Daddy states that his father was working as a traveling salesman for Simmons Hardware at the time of the birth of his son. Daddy said that Granddaddy Riggs met Mr. E.W. Hardin, the founder of Amarillo Hardware Company, in St. Louis, MO, when they were both working there. Mr. Hardin encouraged Granddaddy Riggs to move to Amarillo to work for Amarillo Hardware Company as a traveling salesman in the early days of the company they moved to Amarillo shortly after Daddy was born in 1906. At first they rented a house and then, about 1908, Granddaddy Riggs built a large home at 1410 Monroe for his family. The picture to the left shows the newly finished Riggs home in Amarillo. Mammy wrote the names Kate, Newton (Daddy), and Maude (Mammy) on the picture. Granddaddy and Mammy raised their children in that house and Mammy stayed there until her death in 1959. The house was remodeled in later years. The porch on the left side was turned into a sun room and a portico, driveway and garage were added on the right side. Granddaddy Riggs worked as a traveling salesman for Amarillo Hardware Company in the Texas Panhandle for a time, and then opened a car dealership in Amarillo. The 1910 census lists J.N, 35, living at 1410 Monroe Street with his wife, Maude, and children: Ralph, 14; Record, 13; Katherine, 10; and J. Newton, 2. The 1910 census states that the occupation of J.N. is “Commercial Traveler.” The census also indicates that he owned his home and did not owe any money on the house. By 1920 the city directory shows that he owned Panhandle Motor Company. He was also part owner of a hardware store in Dalhart, and was elected a County Judge in Amarillo in the 1930s. During his years in Amarillo, he also acquired a number of real estate lots and property in the city. According to newspaper articles in the archives of the Amarillo Globe News and the Amarillo Daily News, Granddaddy Riggs was a busy and productive man in his younger days and was quite an active leader in civic organizations. 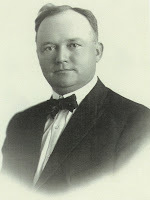 He was Chairman of the Victory Loan Committee of Potter County in 1919 and is listed as an organizing member of the Amarillo Lions Club that year. He was elected eminent commander of the Masonic Lodge in 1920. He was president of the Lions Club in 1922, president of the Amarillo-Panhandle Automotive Association, and was a director of the Tri-State Fair Association in 1923. He was elected president of the Board of City Development in 1925, was a Panhandle Council Boy Scout sponsor in 1927 and was president of the group that year. He was Potentate of the Khiva Shrine Temple in 1929 (see picture to the left). He was quoted in a 1938 newspaper story entitled “Plains Drummer” describing the life of traveling salesmen in the Panhandle. The newspapers also had several articles about his tenure as county judge in Potter County between 1935 and 1938, including one about budget woes, another about the role of the county judge, and a humorous one over a salary dispute, entitled “Ink Pots Fly in County Row.” Through Daddy’s stories and the pictures and newspaper articles that I found, I came to know much more about Granddaddy Riggs, and I feel that I have grown a great deal closer to him through my research. I learned what an active and productive man he was. I now see him as someone who was involved in a leadership capacity with a number of civic organizations, who owned his own business, and who was also a well-known county judge. I regret that I missed knowing more about him earlier in my life. However, I am thankful that the picture I have of him now is much fuller than what I remembered from my childhood. Today has been a great day so far. I have so many things to be thankful for. For instance, the temperature was delightful this morning so I opened all the windows and let the cool, fresh air into my house. Then I washed sheets and towels and hung them out on the clothesline--a very favorite task that I love this time of the year. My clothesline is in an isolated part of my wooded backyard and that area is a nice place for me to retreat, listen to the sounds of nature, and glance up into the one opening of blue sky amidst all the trees in the backyard. I call that opening in the trees my glimpse into heaven--sometimes cloudy, sometimes wispy with thin clouds and sometimes the deep, deep blue of a clear sky. Today it was deep blue and clear as a bell after several days of dark clouds. Next I went to my mother's for a special Mothers' Day Luncheon. It was lovely with delicious food and even better desserts! Yum! Mother had just had her hair done and she looked beautiful. I am so lucky that she is close and happy to be where she is at this time of her life. Here are a few pictures from the luncheon. And for my last thankful item: a friend is taking us out to eat at one of my all-time favorite seafood restaurants! Yippee! I don't have to cook dinner tonight! Thankful to have a cook's day off! Our across-the-street neighbors are out of town this week so I visited their backyard today to check on the owlet that kept falling out of the owl house last week. When I entered the backyard I saw him (or her?) sitting on the porch of the owl house. Last week his eyes were closed or only open halfway, but today his eyes were wide open. Maybe it was because it was very cloudy or maybe he was just curious about what I was doing. In any case, he seemed to be looking at me no matter where I stood in the yard. I got several more great pictures! He even leaned down to look at me when I stood directly beneath the owl house. He is so cute! Next I came home and went into my living room and found this little buck looking in my window. Last summer we named the one who got in between the bushes and the house to look in our bedroom window Bush Buck. I guess this is Bush Buck, Jr! One evening this past week we had some wildlife excitement. Our neighbor across the street called me and asked me to come listen to the strange animal sound in her garage. She thought it sounded like a rattlesnake. I went into the garage and heard the sound, but thought it was too loud for a rattlesnake and might sound more like a possum or raccoon trapped in there. I went to get my husband, who was raised in the country, to help us out with whatever was making that strange, rattling, sound. He came with his flashlight and listened with us. He immediately said it was a baby screech owl. Wow! We knew it was possible that it was a baby screech owl because another neighbor had bought two owl houses and put them up a couple of years ago. She told us that male and female owls do not live together but need two houses. We had determined earlier that the across-the-street neighbor had a female Winston Churchowl and three owlets in their house. Unfortunately, the baby owlets had already fallen out of the nest a couple of times and she had put them back. She was very worried because a couple of neighborhood cats were eagerly awaiting a dinner of baby owlet! When we located the source of the sound in the garage and shined a flashlight into the corner, we saw the fluffy, round baby owlet making his pathetic little screech and hunkered down on his huge feet. Our neighbor, with thick gloves, lifted him (or her??) into a box and took him back into her yard where her husband climbed her tall ladder and, once again, put him back into the owl house. All the time we were in the backyard accomplishing this task the mother owl was frantically flying back and forth just over our heads. The across-the-street neighbor left on a trip the next day and assigned us the job of looking out for her baby owlets. I went over and looked around the yard for signs of baby owlets. I looked up at the owl house and thought I saw the mother standing guard on the "porch" of the owl house. I ran home, grabbed my camera, and got this picture! The ornithologist from whom the houses were purchased says this is one of the babies! He said, "the photo is a nestling -- notice the thin horizontal barring (not vertical like on the adult)." This wildlife adventure is one of the things that makes this such an interesting neighborhood! 1. Send a letter or visit junkbusters.com and "opt out" from the five main list vendors. If you tell these vendors not to rent information about you or your household, you will cut back on Junk Mail from hundreds of companies. Junkbusters' website gives you the address and even a draft letter to send. 2. Call your phone companies and tell them you want to opt out of "CPNI sharing." Unless you tell them not to, phone companies generally have the right to sell all the information about you that appears on your phone bills: they can sell the number you call, the time and duration of the call, anything on your bill. Marketers use this information to target Junk Mail. Read more about CPNI sharing at epic.org/privacy/cpni. 3. Tell the credit bureaus to take you off their "pre-screened" list. These lists are the reason you get so many credit card offers. (When I get a credit card offer, I personally fold everything up, put it in their prepaid envelope with a note to NOT send anything else to me. I then mail it BACK to them--it has cut back on my credit card offers!) Call this number (1-888-5-optout), and tell them you want to opt out. You should stop getting the offers in about six weeks. 4. Make sure you have registered your phone number with the "Do Not Call" database. Call 1-888-382-1222 for this service. The newsletter urges us to start our plan today to feel protected and safe. I am beginning today! I look forward to receiving a lot less Junk Mail--and Junk Phone Calls--in the future!